Cape Cod is a idyllic location for bikers. We have many wonderful bike trails that accommodate all levels of bikers. 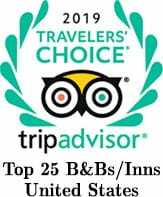 I still remember when we first arrived on Cape Cod 11 years ago and after a busy season at our other inn, Brewster by the Sea, we decided to get away for a few days in P’Town. We stayed at a lovely bed and breakfast and rode our bikes each day. On one day we were riding the challenging Lands Trail which loops through the majestic dunes. Toward the end of our trek I ran out of energy and just had to walk up the last hill. A very athletic biker rode by on my left and just smiled and said “beautiful day on Cape Cod” It was just nice to know that the bike path is truly shared by all and most are very polite in biking etiquette. 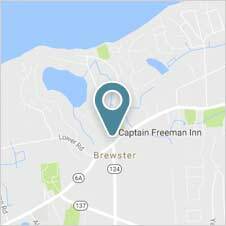 The Cape Cod Rail trail is just up the street from the Captain Freeman Inn. Many guests leave their car at the inn and connect on the bike trail to ride up to the National Seashore. It’s a great, easy ride that is fairly flat and picturesque. We were recently walking in Nickerson State Park and had taken a dirt path around one of the kettle ponds when a mountain biker rode past us. I suddenly realized that the path we were walking was actually a well used mountain bike path as well. Cape Cod is full of surprises. Listed below is a summary of all of the bike paths on Cape Cod. 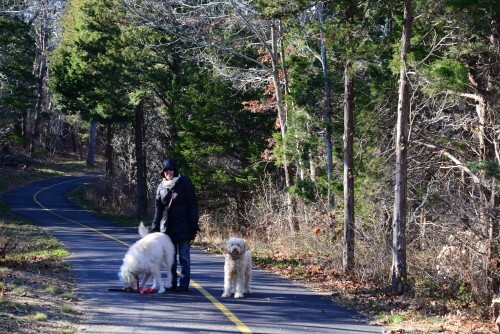 Paved Bike Paths on Cape Cod…. 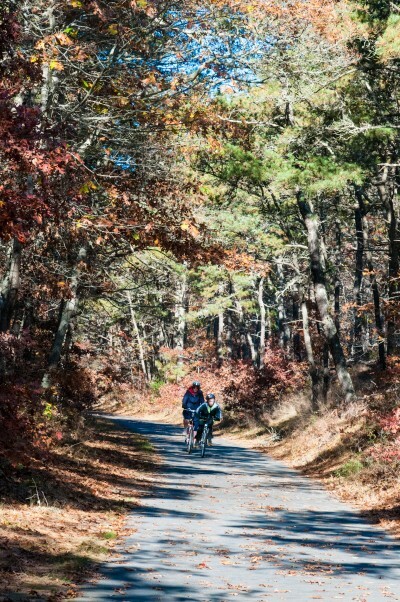 Cape Cod Rail Trail- 22 miles of pristine paved trails that runs where the old railroad use to be. The path runs from South Dennis to Wellfleet. Depending on which way you go, the path runs by quaint towns, parks, restaurants, clam shacks, cranberry bogs and lakes which are perfect for a swim in the summer. 14 miles of paved paths that run on both sides of the Cape Cod canal. This path is ideal for the casual biker. It’s also fun to watch the boats go by as you cycle. Over 10 miles of paved, off road trails that can be accessed in several different points in Falmouth. Similar to the Cape Cod Rails trail this path runs past scenic beaches, cranberry bogs, marshes and a scenic harbor. It begins in North Falmouth and ends in Woods Hole. This short 5 mile path takes you from the Chatham Fish Pier, by Chatham Light and by the scenic harbor and boat yards. This trail can be accessed at the Head of the Meadow Beach parking area and is a short but beautiful ride to the beach. Mentioned earlier, this is a challenging 7 mile ride through the dunes leading to Herring Cove and Race Point beaches. This is a casual ride where you can enjoy the old town ambiance where you can stop and enjoy wonderful art galleries and eateries. 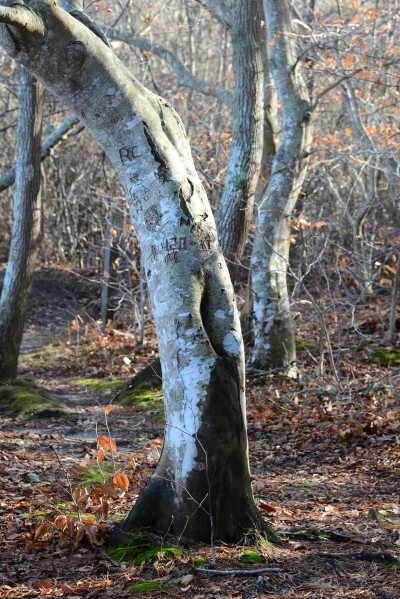 Mountain biking on Cape Cod…. 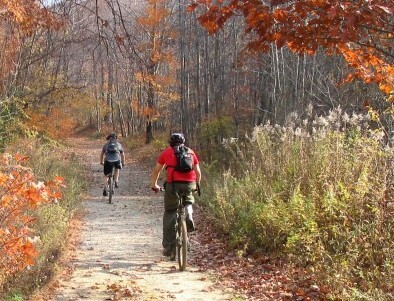 This 1,200 acres of conservation land is filled with challenging paths for bikers. It boasts 21 miles of bike paths that winds throughout the beautiful conservation land. This lovely park is just up the street from the inn. It includes over 1,900 acres of pristine forests, lakes and a 8 mile paved bicycle path. The Cape Cod Rail Trail also passes through the park. The paths in the park are a little more challenging as the park is filled with rolling hills. This bike path is adjacent to the Otis Air Force base. The base is now closed to the public but this path offers lots of area to explore. The riding is fast that runs up and down and around a long series of drumlins. This bike path consists of two separate trails. For the first, explore 20 miles of hilly land in the Hyaniis Ponds Wildlife Management Area. The second path runs through Yarmouth. The name of this trail lets everyone know that mountain bikes are welcomed on this beach trail. 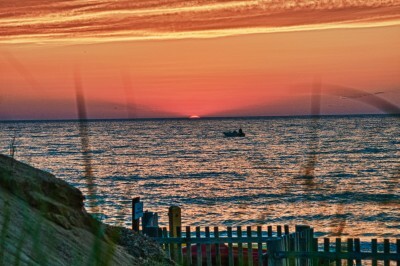 Cape Cod is a magical area and a perfect place to relax and get fun exercise! Exhaling on Cape Cod and feeling very blessed!